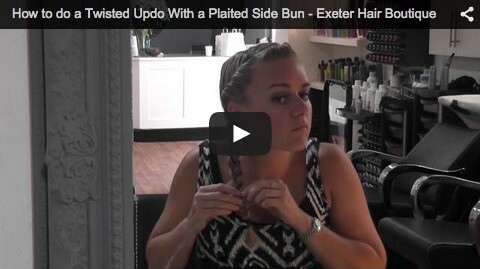 Hi, in this video I show you how to create a twisted updo with a plaited side bun. This sounds a little complicated but it’s actually quite an easy hairstyle and is really quick to do. After a few practice runs you should be able to get it done in a few minutes, so its perfect even if you are in a rush in the morning.